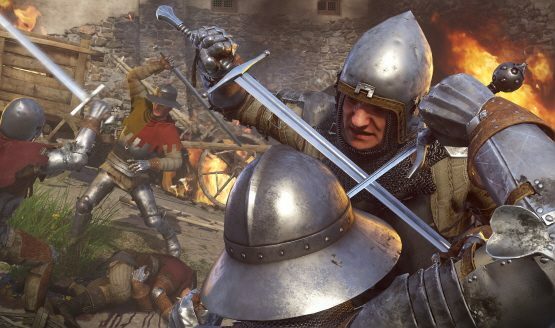 Warhorse Studios spent last week teasing that more information on Kingdom Come: Deliverance news would be coming soon, and they ended up delivering. A new trailer for the single-player role-playing game can seen above. Not only does this give a peek at the medieval title’s story, but the game’s release date is revealed at the end of the video. The Deep Silver published game is now officially set to release February 13, 2018. Taking place in the medieval Kingdom of Bohemia (which is in modern-day Czech Republic), players take up the role of a blacksmith’s son. Named Henry, his life is sent into disarray after a civil war erupts. After the death of his family, he vows to get revenge. Players will help him accomplish his goal by molding Henry into whatever warrior type they want him to be, as the game doesn’t feature any strict role-playing classes. Mocap is a must for any game with a considerable amount of humanoid animation. The majority of game developers cannot afford their own mocap studio, so they need to commission one. Although a common practice, this presents many problems for the workflow in the ever-changing world of computer game development. It is not only about planning the mocap sessions to be as few and economical as possible, it’s also about the distance to a good studio. At Warhorse the animators are separated from the mocap studio by some 2 meters. It is just across the corridor, which is a blessing. Whenever there is an issue we can quickly record a new motion. There is no ordering process or negotiation slowing us down. We can experiment and spend as much time in the studio as we want. Kingdom Come: Deliverance is set to release on PlayStation 4, Xbox One and PC on February 13, 2018. Its the debut game by Warhorse Studios, and is being published by Deep Silver.